You are here: Home / PVCu or Aluminium – Which is best? PVCu or Aluminium – Which is best? When it comes to choosing new windows and doors, whether for the replacement of old windows, for new extensions or new home builds, consumers have a choice of materials. But by far the biggest comparison made by buyers of new windows and doors is between aluminium and PVCu. If you’re in the market for new windows and doors it’s important to get the right information on aluminium and PVCu. Look at any advert by the national firms and the wider press and you will see window companies focusing their sales and marketing efforts, products, offers and promotions predominantly on PVCu windows. It is extremely rare to ever see aluminium windows and doors marketed with buy one get one free offers, substantial discounts or sold in the way PVCu windows typically are by the national window firms and others. This is because aluminium windows by nature of the product and how they are made and supplied are unlikely to ever be a mass-produced easy to make window like PVCu. If you are in the market for new windows and are unsure about what material is best for your home we offer some free guidance and advice. There are many advantages offered by aluminium windows. You are buying a window with high-end engineering and modern design. Aluminium windows are still the primary choice of architects, designers, property renovation companies, including those that specialise in home extensions and Grand Designs type projects. There are of course specialist and exceptionally well made PVCu windows targeted at the timber window and sash window market and the wider replacement window market. PVCu windows today are diverse in type, style and quality. Just like aluminium, PVCu windows are also secure, weather resistant and come with guarantees, testing and standards. However, by nature of the material and its properties PVCu cannot offer the many advantages aluminium windows can. Not all windows are created equal. Choosing the best aluminium windows is very much dependant on knowing what the choices are, and what features matter. There are different considerations to take into account depending on whether the windows are intended for residential or commercial use. In this article we concentrate on what to look out for when choosing aluminium windows for residential property. Some national window companies and smaller double glazing firms only sell PVCu windows and composite doors. Therefore you may often hear reasons not to buy aluminium. In our article about the myths about aluminium windows we take the most common myths and misinformation surrounding aluminium windows and offer expert answers. What is better made – PVCu or Aluminium? If you care about aesthetics and the appearance your windows and doors, we offer some insights about how aluminium and PVCu windows are made. We also highlight the differences between aluminium and PVCu window joints and corners and prove how aluminium windows can look better than their pvcu counterparts. Helping you choose between aluminium, PVCu and timber windows. ll window materials offered today are fit for purpose and meet or exceed current standards for security. However, aluminium windows are the preferred choice for specialist installations such as the replacement of old Crittall Windows, where much larger windows and doors may be required and windows for conservation areas. Why Bifolding doors are better in aluminium. With bifolding doors today being arguably the most desirable and popular home improvement product, we explain why aluminium is the preferred material by professional installers when it comes to the bifolding doors. We explain the weaknesses of PVCu bifolding doors and why aluminium is better for bifolding doors. In our Aluminium Windows Buying Guide we give some insights into how the door and window sector works, giving information on the major aluminium systems available as well as key points on aesthetics, security and colour. We also explain how the aluminium supply chain differs from mass-produced and standard PVCu windows with aluminium windows remaining a niche and specialist product. If your property has old metal or original Crittall Windows you will appreciate how important these old slim metal windows are to the design and appearance of any heritage, traditional and Art Deco style house. We explain why aluminium is the best solution for replacing old metal windows, together with useful information on what you should consider. This article is one of the first ones we wrote about the differences between PVCu and aluminium. It’s been updated a couple of times, but there we take a slightly more “helicopter” view of the industry and the ways that the two products are sold. And we even identify the one time that PVCu may be a more appropriate choice! Where PVCu is better than aluminium. There are some products that are arguably better in PVCu than in aluminium. A balanced article giving information on where you may want to consider PVCu alternatives instead. 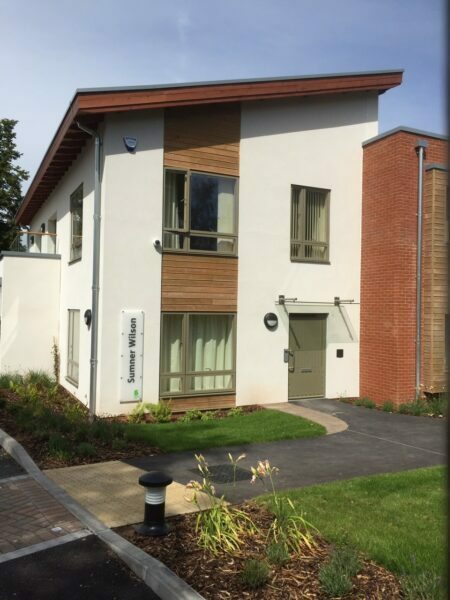 Despite the many advantages of aluminium, PVCu products today are advanced, attractive and are excellent as timber alternative windows and doors. Well done if you’ve read all those articles. You probably now know all there is to know about the differences between PVCu and Aluminium where it applies to doors and windows. In fact you hopefully now know enough to form your own opinion and question your chosen window supplier accordingly. There is no getting away from the fact that in the consumer markets budget will most likely be one of the main deciding factors. However, it is arguably our responsibility to give consumers enough information for them to make an informed choice. Aluminium or pvcu casement windows? The top 5 myths About Aluminium Windows. Advantages of Aluminium Windows and Doors compared to PVC.